Corporate eLearning Strategies and Development: FAST Company and Gettysburg National Park - What are you thinkin'??? FAST Company and Gettysburg National Park - What are you thinkin'??? "Most people aren't visiting to learn," says Elliott Gruber, vice president of the nonprofit Gettysburg Foundation..."They want to have an experience, to be immersed in something." Where do I even start? Its so frustrating to even read a statement like this that I dare not even comment. However, its little nuggets like this that help me explain to my colleagues in learning that regular people (those not immersed in learning/education/training) STILL consider learning as books, classrooms, and boring instructors from the days of the battle of Gettysburg - While games and immersed experiences are for fun and frivolity. Mr. Gruber do you REALLY think that ANYONE comes to Gettysburg for anything other than LEARNING??? What you've done is simply make TRUE learning possible for your guests...ALL of your guests. "Multimedia exhibits and movie-inspired storytelling" give your guests a exactly what they need in order to learn. Did you expect that before this people could simply walk out onto the battle field with a brochure and LEARN about a deeply complex and divisive historical event? I do remember going to Gettysburg as a child and I plan to take my own children. I remember sitting on a cannon and wishing I could pick up one of the cannon balls, load it, and pound it into the cannon with that big stick. And then lighting a match and plugging my ears. That would be so cool! Let me know when I can do that, Mr Gruber, and then I start planning my trip. Brent - I completely agree. I commented before how great the experience was at Plymouth Plantation. They should have that experience for every type of historical learning attraction. We certainly learned a ton more there than visiting the California missions or anything else for that matter. Maybe he meant just what you are saying - people don't come to be taught at, they come to be immersed in learning. He just said it all wrong. Tony, I remember reading your post on the Plymouth Plantation. Good stuff! I re-read that section several times trying to find out if I had read it wrong. And I thought about the line from many different angles including the fact that writers often get the facts wrong from interview situations. Authors also sometimes interpret interview statements incorrectly...er...um...differently. 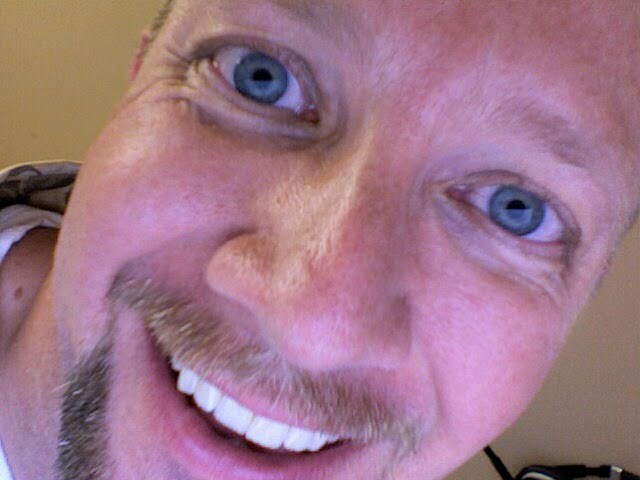 However I'm far too familiar with the outside world (the one outside of my chosen learning career). And I have no doubt that the statement grew from frustration in the declining attendance numbers. And in that frustration I can assure you this statement was made, or thought, by many..."damn kids these days with their MTV and video games got no respect for History, and schoolin'. Well, if Discover Channel is going to pony up the cash then let's give it a whirl." Many many people still don't know that eLearning even exists and that what we know about the brain and how we learn has changed. And that the old classroom model, while adequate for a few hundred years, is just not going to cut it any more. Sure the movie and multimedia is a step up, but I still say, "let 'em load the damn cannons! and ROCK their world!" That's going to make the experience stick in long term memory. How can anyone possibly go to the historic area and not expect to "learn" something, eh? Learning is (okay-well SHOULD BE) the journey, the experience, the immersion, or the actual connection(s) one makes. Plymouth and other "living" museums are great examples. Getting personal with the learning, the actual feelings or stories of the moment is where we make those connections, and remember. Great post! Thanks for sharing your "feelings"! ha! Yup - fight the "learning = classroom/boring/books/text-heavy powerpoint" perception every single day. We have a lot of history and upbringing to overcome, even among our peers. Back in the day, my 8th grade class did the trip to Gettysburg. 2 highlights - the attempt to get a bunch of hormone-addled pre-teens to reenact Picketts Charge (a fantastic idea in theory, if not in practice), and the opportunity to crawl around Devil's Den. Despite Mr. Gruber's misunderstanding of the nature of learning, I strongly recommend a visit to Gettysburg, (as well as Antietam and Bull Run) if you decide to make a Civil War trip to the East Coast. Brent, I think you're being a little hard on poor Mr. Gruber. He's a marketing and development guy, so it might not surprise us that in a marketing piece he speaks in a way that will be attractive to visitors who don't perceive their own curiosity [drive to learn] and interest as a desire to "learn". The object of "want" is to end the slightly irritating sensation of want. But people don't think of eating chocolate, for example, as an act to end the feeling of wanting chocolate. They think of it as desiring to experience pleasure. 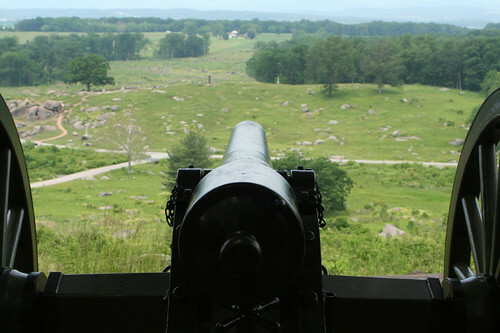 In the same way, I think there are a fair number of children and adults who don't conceive of their own "curiosity" or "interest" as a desire to "learn" what it must have felt like to stand on the Gettysburg battlefield, understand the military strategy or the causes and effects of the battle. You wanted to sit on a cannon and imagine. I'm betting that you didn't think of it as learning at that age and that if your parents had told you you were going there to "learn", your reaction might have been a loud groan. So if Mr. Gruber - a marketing executive - calls it "having an experience" and being "immersed in something", perhaps he's showing us what we need to remember as learning professionals: It isn't always the smartest marketing of what we do to call it learning. Rather, when we can call learning "fun" or "a game" (like, ahem, "Spore") or "stories", we're often able to accomplish learning. And it's what we achieve (vs what we call it) that really counts, isn't it? We all know we need marketing guys like Elliot Gruber to put the right spin on it and help us help others enjoy learning who would otherwise make a U-turn at a giant roadside sign some folks in our preofession would erect: Welcome to Gettysburg National Cognition, Comprehension and Retention Center. Great work, Mr. Gruber! Keep it up! "Many many people still don't know that eLearning even exists and that what we know about the brain and how we learn has changed. And that the old classroom model, while adequate for a few hundred years, is just not going to cut it any more." Please list some of your favorite references regarding this topic.